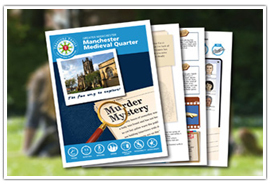 In spite of the fact that the present day province of Greater Manchester was not founded until 1974, the historical account of its constituent settlements and parts stretches back over hundreds of years. In the Middle Ages, much of what was to become Greater Manchester lay within “the hundred of Salfordshire” – an extremely old division of the district of Lancashire. In the eighteenth century, German merchants had given the name Manchesterthum to represent the area in and around Manchester. 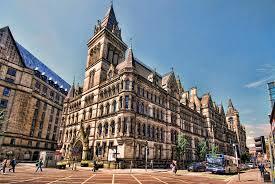 The main county town of Greater Manchester is Manchester itself which is around four hours by train from London. 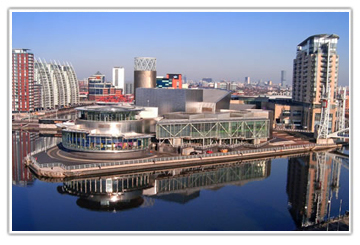 Greater Manchester has one city and thirty-two towns, making it an averagely important county economically, however, a lot of these towns are very interesting in the sense of tourism. Manchester is found in south-central North West England, bordered by the Cheshire Plain to the south and the Pennines to the north and east, and a curve of towns with which it shares a continuous conurbation. Manchester is famed far and wide for its music scene. Bands that have risen up out of the Manchester music scene include The Smiths, the Buzzcocks, The Courteeners, The Fall, Joy Division and its successor band New Order, Oasis, Elbow, Doves, Take That and 1975. 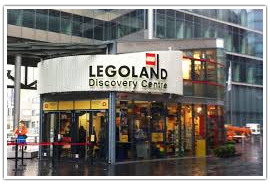 Things to see in Manchester include the Museum of Science and Industry, the John Rylands Library, and Chinatown. 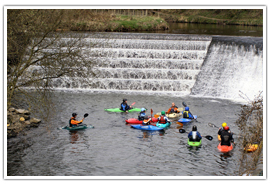 Bury lies on the River Irwell, close to neighboring towns Bolton and Rochdale. Bury was founded around the old marketplace yet even preceding this there is proof of medieval activity going right back to the time of Roman occupation. In the post-war period, there was a massive slow-down in Bury’s flourishing cotton industry, and in the same way as numerous neighboring towns, Bury’s skyline was soon altogether different, with many factories and chimney stacks being pulled down and shut their doors once and for all. 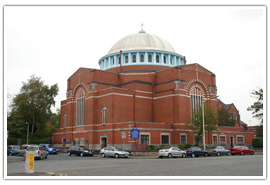 Things to see in Bury include The Met, Peel Monument, and Heaton Park Reservoir. 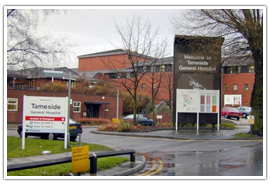 Rochdale is a large market town which lies at the foothills of the South Pennines on the River Roch. Once a piece of Lancashire, Rochdale’s written history starts with a place in the Domesday Book of 1086 under Recedham Manor. 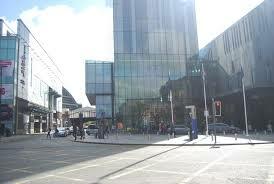 Rochdale today is a prevalently private town. Rochdale Town Hall, a Grade I listed building, dates from 1871 and is one of the United Kingdom’s finest illustrations of Victorian Gothic revival building. 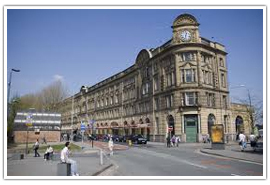 Rochdale was also once a center of industry with the production of woolen fabric especially baize, kerseys and woolen clothes of great import from the rule of Henry VIII. Things to see in Rochdale include Windy Hill, Blackstone Edge, Touchstones and Ashworth Moor Reservoir. 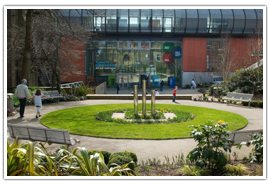 The sprawling metropolitan province of Greater Manchester has more than a few green areas, pretty gardens, and open parks. Fletcher Moss Park is a large botanical garden based in Didsbury. It has won many awards and is home to The Croft, where the Royal Society for the Protection of Birds was founded in 1889. Fletcher Moss Park offers a vast accumulation of plants from places all around the world, together with beautifully landscaped grounds, a restaurant, tennis courts and picnic spots. 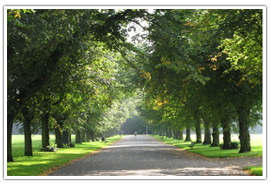 The garden is sited part-way between Stenner Woods and the River Mersey. 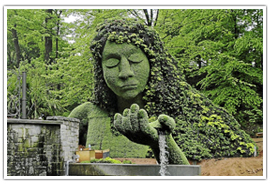 Spread throughout this masterpiece of botany are rockeries, waterfalls, boggy areas with giant gunneras, fancy trees, and an Old Parsonage. With vast open spreads of the field, Platt Fields has formed around a large pleasure lake, where fishing and sailing are now the norms. Things to see and do include a Shakespearean garden with notable themed planting, a maze, picnic places, play areas, bowling greens and basketball and tennis courts. 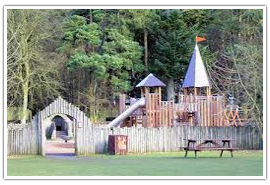 Daisy Nook Country Park is 40 hectares of the sculptured landscape in the heart of the Medlock Valley. There are canals, a lake, forests and wild-flower meadows. The park is a wonderful habitat for natural life and is a perfect spot for bird watching – with a wealth of animals from greater spotted woodpeckers and owls, to foxes and squirrels. There are trails and bridleways for horse riding that link up to neighboring fields and paths. Greater Manchester has a lot of interesting things to see and do, including Manchester itself which is a haven of culture and performing arts. 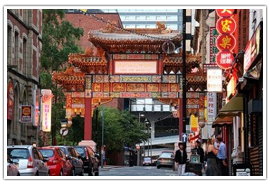 Manchester Chinatown is so named because of its indigenous population of Chinese people and is a very popular attraction. It boasts beautiful architecture, some of the finest oriental cuisines found anywhere in the world and is a-bustle with markets, theatres, and shops. 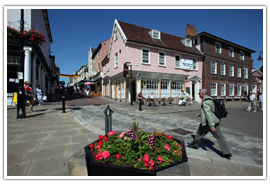 With its beginnings in the restaurant trade, the area was formed during and after the 1950s after a labor surplus forced the UK government to relax immigration laws. It is a beautiful area, colorful and vibrant and hosts many traditional Chinese festivals each year. Oldham’s broad arts, social and natural history accumulations together with touring work, contemporary workmanship, global art, and work created with neighborhood groups. 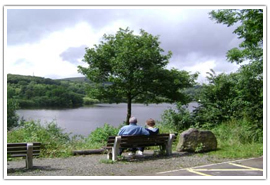 Jumbles Park, situated just outside Bolton is host to numerous forms of wildlife and ideal for strolling or simply enjoying the peaceful surroundings. Jumbles Country Park is comprised of acres of lovely parkland and various varieties of trees along with a water reservoir. 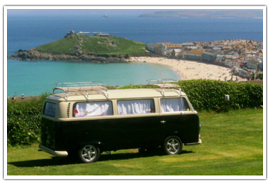 A system of trails are accessible for beautiful long walks, and relaxing strolls with your children or companions. 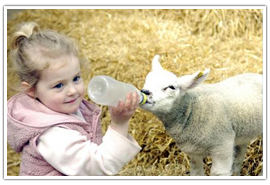 Greater Manchester has a whole host of fun family days out available. see notorious points of interest in Miniland, make a birthday party or celebration much more memorable in one of their unique party rooms; and much, much more! 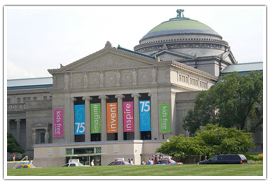 Have a fabulous time in “Experiment!” – the extraordinary hands-on, interactive science exhibition. Take in the sights, sounds, and odors of working cotton machinery in the Textiles Gallery as well as the industrial motors in the Power Hall. Learn about the fantastic and dramatic history of flight in the Space Hall. Take a trip back through time to the living conditions of nineteenth-century Manchester and stroll through a real Victorian sewer! All this is topped off by a wonderful 4D theatre with responsive seats, air blasts and much more. but some are a lot trickier! Kids love unraveling the different clues and don’t even realize they are learning about the history of the region while at the same time getting some good exercise! Mancunians (the people from Manchester) love their afternoon tea, and there is no shortage of tea houses in Greater Manchester. Located in the lower 23 stories of the dazzling 47-story Beetham Tower, Manchester, the Hilton Manchester Deansgate inn offers awesome views over the city. Take the express lift to Cloud 23 for Afternoon Tea in the sky and expect decadence and a unique, warm ambiance. On the menu at this trendy spot are a fashionable selection of finger sandwiches, fresh tea and delicious cakes, including dreamy chocolate éclairs. Traditional and Cream tea, you’ll be spoiled for choice at the wonderful array of scones, finger sandwiches, champagne, jams and preserves, all served up with a friendly smile. Known fondly for their typical northern friendly welcome, Tea At No. 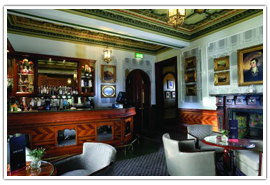 77 offers a very informal atmosphere with friendly staff and relaxing ambiance. Their menu is excellent with herbal or blended tea, coffees, milkshakes and squashes, as well as excellent fruit scones, clotted cream and delicious preserves. Greater Manchester is home to some of the finest wedding venues in the North of England, if not in Britain itself. Located in the middle of Manchester, at the heart of the busy district of Ancoats, Hallé St. Peter’s is a wedding venue to inspire and impress. High roofs and novel, unique architectural features make up a sumptuous atmosphere, where you can fully relax and let your breath be taken away as your fantasies become reality. A rich interior is supplemented by amazing building design and unique architecture, making the ideal setting for your wedding day. 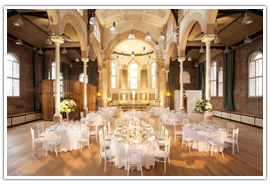 Offering the ideal balance of high class prestige and convenience, the Town Hall Manchester gives the most elegant and romantic wedding venue in the city centre. Situated ideally at the heart of the city, our suite of state rooms is authorized to have weddings of any size and can also host your ideal wedding breakfast or evening celebration. Renowned as one of the finest standing examples of preserved neo-Gothic architecture in Britain. the memory of the wonderful ceremonial atmosphere and romantic setting will remain with you for the rest of your life. 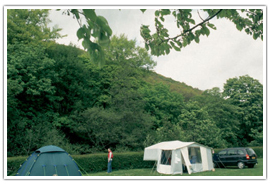 Greater Manchester is a popular tourist location and has a wide selection of camp sites and caravan parks for travelers arriving from locations worldwide.